If you're traveling to—or living in--a Zika virus-infested area, it's far better to use DEET rather than Picaridin and to use higher, rather than lower, doses of DEET because lower doses do not work well with older mosquitoes, newly published research from the University of California, Davis and Recife, Brazil, shows. The work, funded by the National Institutes of Health, was published Feb. 16 in Scientific Reports of the journal Nature. The researchers used mosquitoes originating from colonies reared by UC Davis medical entomologist Anthony Cornel and from colonies in Recife. 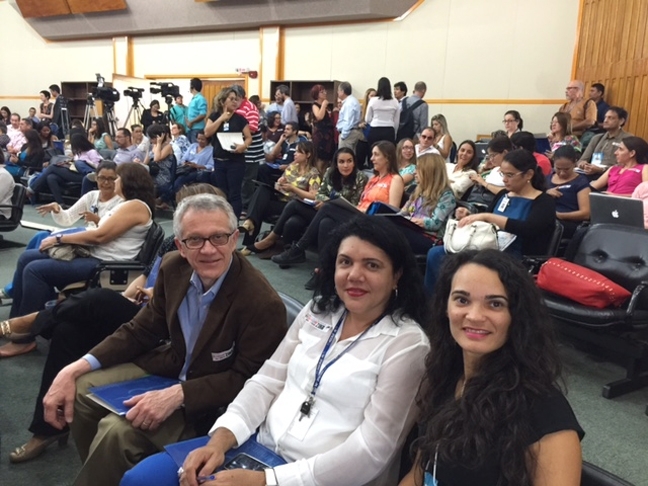 Leal, a native of Brazil, collaborates with Rosangela Barbosa and Constancia Ayres of the Oswaldo Cruz Foundation (FIOCRUZ-PE), Recife, Brazil. 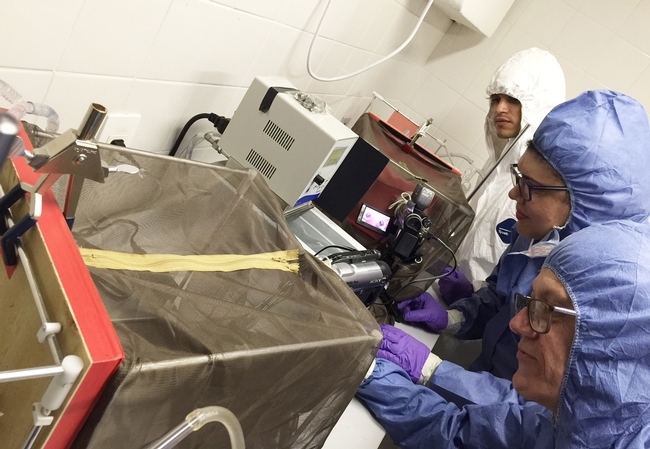 The work with infected mosquitoes was conducted at FIOCRUZ-PE. 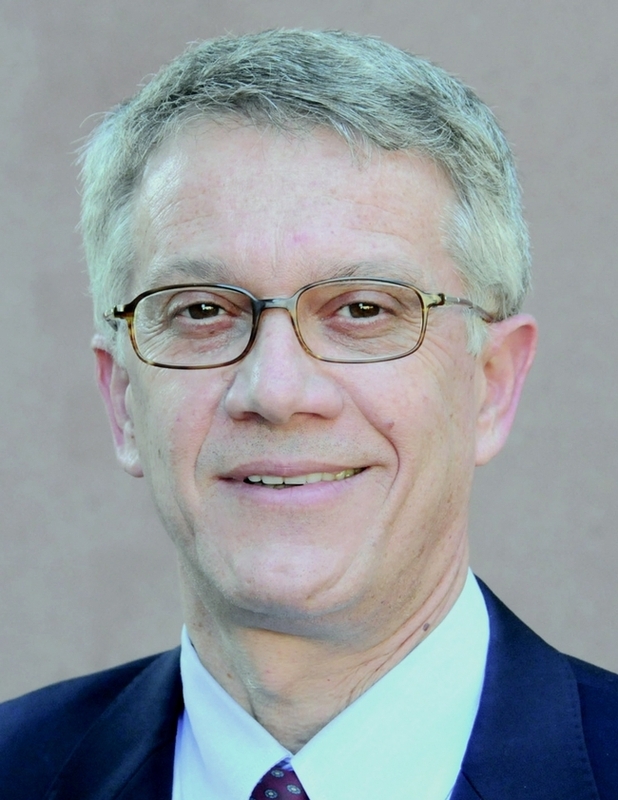 Leal, Barbosa and Ayres co-authored the paper with Fangfang Zeng and Kaiming Tan, both of the Leal lab; and Rosângela M. R. Barbosa, Gabriel B. Faierstein, Marcelo H. S. Paiva, Duschinka R. D. Guedes, and Mônica M. Crespo, all of Brazil. 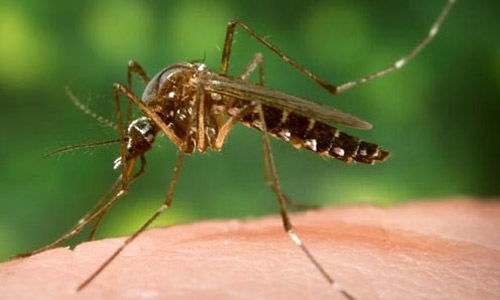 The World Health Organization (WHO) recommends that people traveling to or living in areas with Zika virus (ZIKV) outbreaks or epidemics adopt preventive measures, including the use of insect repellents, to reduce or eliminate mosquito bites. Prior to the Feb. 16 published research, it was not known whether the most widely repellents are effective against ZIKV-infected mosquitoes, “in part because of the ethical concerns related to exposing a human subject's arm to infected mosquitoes in the standard arm-in-cage assay,” the researchers pointed out. They used a previously developed, human subject-free behavioral assay, which mimics a human subject to evaluate the top two recommended insect repellents. 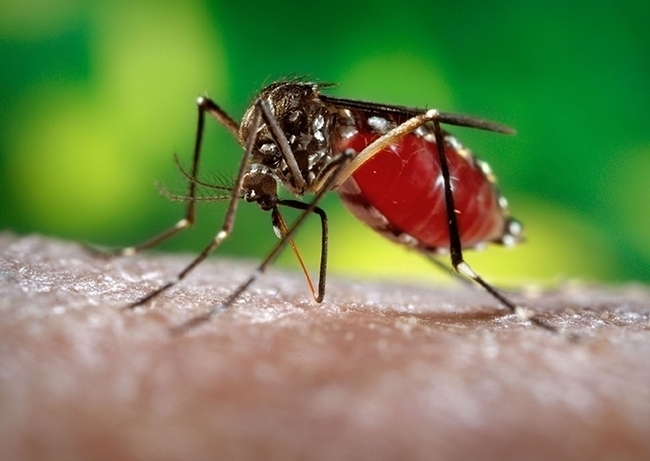 Scientists isolated the Zika virus (ZIKV) nearly seven decades ago from a sentinel rhesus monkey while they were trying to unravel the cycle of sylvan yellow fever virus in Uganda..
Zika is spread mostly by the bite of an infected Aedes species mosquito (Ae. aegypti and Ae. albopictus). These mosquitoes bite during the day and night. The virus can also be sexually transmitted. Local mosquito-borne Zika virus transmission has been reported in the continental United States. Are Culex Mosquitoes Potential Vectors of the Zika Virus? Scientists throughout the world targeted the Zika virus, transmitted by the yellow fever mosquito, Aedes aegypti, at a major symposium today in Recife, Brazil, epicenter of the Zika virus outbreak. Native Brazilian Walter Leal, chemical ecologist and professor in the UC Davis Department of Molecular and Cellular Biology, is there. At the symposium today, Constancia Ayres, research coordinator of the Oswaldo Cruz Foundation (Centro de Pesquisa Aggeu Magalhaes/FIOCRUZ, considered one of the oldest and most prestigious scientific research institutes in South America), reported that the common southern house mosquito, Culex quinquefasciatus, may be a potential vector of the Zika virus. 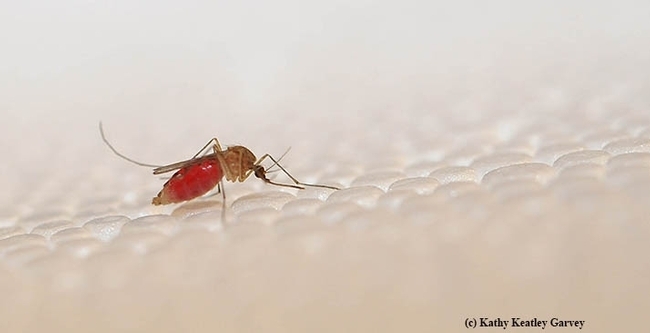 Studies in the Ayres lab confirmed that Culex quinquefasciatus infected with Zika (isolated from local patients) showed high transmission rate (as determined by virus replication in the salivary glands). That raises all kinds of questions and concerns. "This is very important for us--California and both nations--because we have Culex mosquitoes (vectors of West Nile virus), and so does Brazil," said Leal, whose UC Davis lab collaborates with the Ayres lab. Of course, these studies were done in the lab, not the field, and this is the beginning of the research. We asked medical entomologist William Reisen, editor of the Journal of Medical Entomology, and professor emeritus, Department of Pathology, Microbiology and Immunology, UC Davis School of Veterinary Medicine, about this. "In California less than 3 percent of the Culex including Cx. quinquefasciatus have been found to feed on humans, even in cities like Los Angeles, where humans are the most numerous host," Reisen said in an email. "Therefore, even if they are susceptible to infection, the probability of a female feeding on humans to acquire and then refeed on humans to transmit would be 0.03 x 0.03 = 0.0009 or a rare event indeed. That said, there are areas of the world where quinquefasciatus feeds predominantly on humans in domestic settings. (See his research paper, Host Selection Patterns of Some Pakistan Mosquitoes (U.S. National Library of Medicine, National Institutes of Health). In his research paper on Pakistan mosquitoes, Reisen mentions Culex pipiens fatigans, now known as Culex quinquefasciatus. Its feeding patterns "varied opportunistically with host availability," he wrote in the abstract. Resting in cattle sheds during the winter, it "fed on birds and bovids, changing to man and bovids during the spring and then to man and birds during summer." Medical entomologist Thomas Scott, distinguished professor of entomology (now emeritus) of the UC Davis Department of Entomology and Nematology, is a global authority on Aedes aegypti, which transmits dengue, yellow fever, chikungunya and the Zika viruses. 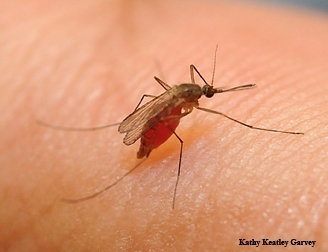 "Vector competence studies in the lab is valuable information, but before we come to the conclusion that Culex quinquefasciatus is an important contributor to transmission of Zika virus, the lab results would need to be confirmed," Scott told us. "Other laboratories and appropriate field studies would need to be carried out in areas where Zika virus is being transmitted to confirm that this species is naturally infected and is regularly biting people. Although it is a potentially important discovery that would change they way we think about Zika virus transmission, it would be wise to carefully explore all of the details necessary to incriminate a mosquito vector before coming to a strong conclusion." UC Davis medical entomologist Anthony Cornel of the Kearney Agricultural Research and Extension Center and UC Davis Department of Entomology and Nematology, weighed in: "I have to examine the vector competence data carefully to determine its infectivity dose relative to Aedes aegypti. If Culex quinquefasciatus does play an additional role in transmission then it would be of even greater concern because the threat of autochthonous transmission will occur in areas other than where Aedes aegypti is found in California. Culex quinquefasciatus also feed on people but do so at dusk and at night." An article by Priscilla Moraes of Rio de Janeiro in the Jan. 27, 2016 edition of the Telegraph News, London, touched on whether Culex can transmit the Zika virus. "Brazil could be facing a greater fight against the zika virus than previously feared as researchers investigate whether the common mosquito is transmitting the disease," Moraes wrote in the article, headlined "Brazilian Experts Investigate if 'Common Mosquito' is Transmitting Zika Virus." "The Aedes aegypti species of mosquito was thought to be solely responsible for spreading the virus," Moraes pointed out. "But scientists are now studying whether the Culex mosquito--the variety (species) most commonly found in Brazil--could also be passing on the infection." Meanwhile, the headlines continue as research proceeds. The Outbreak News Today related that researchers in the Ayres lab "are now investigating the possibility that other, non-Aedes mosquito species, might carry and spread Zika and Chikungunya." "The concern is that the Culex mosquito--which is 20 times more prevalent than the Aedes variety in Brazil-- might also play some role in the rapid spread of these viruses," Outbreak News Today noted. "Researchers hope to have some answers in a few weeks,"
Valor.com.br is hot on the story as well. Reporter Marina Hawk emphasized that the work was done in the lab, but field collection is underway.